Tags, similar to hashtags on social websites, allow you to categorize nearly any item in your Chalk & Wire account so that you can easily locate it later on. The Tag Reporter enables you to quickly and easily view all items with the same singular or combination of tags. 4. 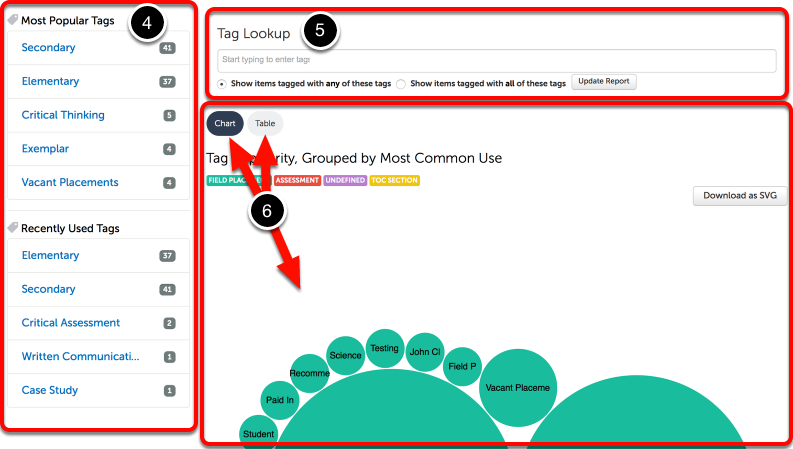 On the left-hand side of the screen you will be able to see your Most Popular Tags and Recently Used Tags. You may click on any of these tags to access items in your Chalk & Wire site which utilize the tag. 5. 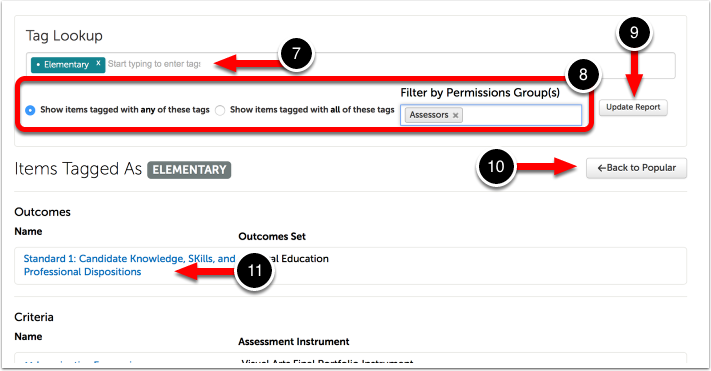 Optionally use the Tag Lookup to type tags into the text-entry field in order to view items in your Chalk & Wire site which utilize the tag. 6. All tags in your system will appear in an interactive "chart" on the screen, though you can use the Table button to switch views. 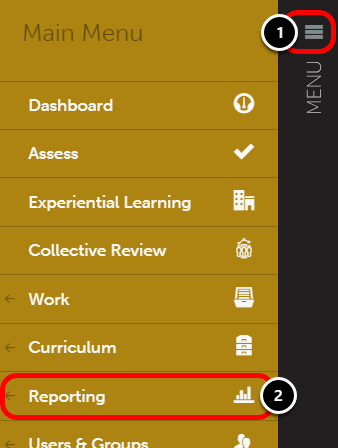 Using the chart view, colors of each circle indiciate how that tag is primarily used (i.e tagged criteria, assessments, table of contents frames, etc.) Click on any of the circles to view items in your Chalk & Wire site which utilize the tag. 7. Optionally enter additional tags by typing in the text-entry bar. Only results that are tagged with all entered tags will be displayed. Filter by Permission Group(s): Select one or a combination of Student, Assessor, and/or Administrator. 9. 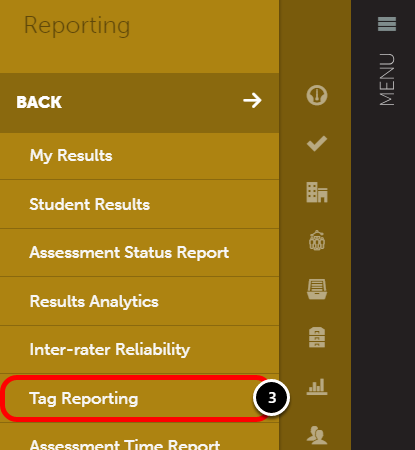 If you have added tags or made changes to the report options, click Update Report. 10. If you are unsatisfied with the tag report, click Back to Popular to return to the previous screen. 11. Review items that are tagged with the tag(s) that you searched for. Click on the blue links to navigate directly to the tagged item.